Control your vehicle and make it through the jungle. Don't hit trees, bumps and other obstacles on your way. 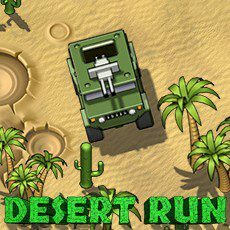 Desert Run is a game where you have to drive at high speed through the jungle with mines and other traps. Don't let your car be destroy by unfortunate way!